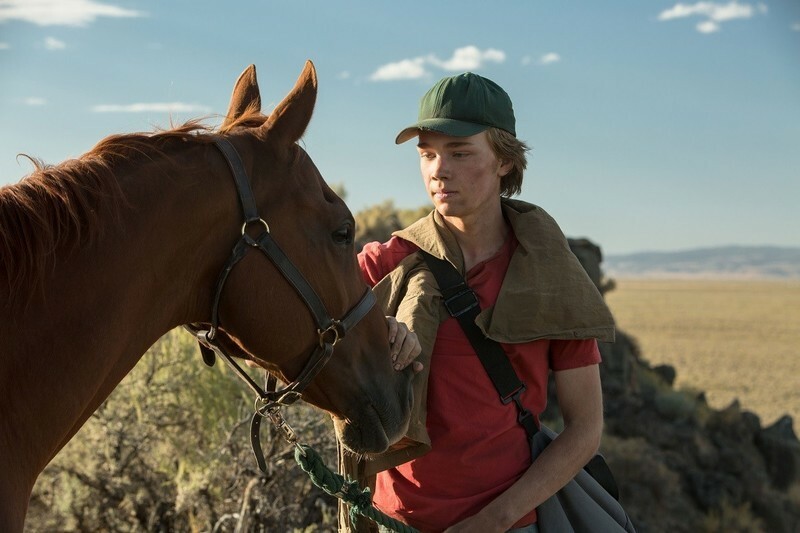 It’s been four months since I first saw it at SXSW, but one of the performances that has stuck with me this year is that of Charlie Plummer in Andrew Haigh’s gorgeous and moving “Lean on Pete.” Playing a character with the same first name, Plummer conveys the story of someone on the cusp of manhood but very much still a boy. As we watch his character fall further and further out of view of those who would protect him, to the point where he’s crossing the country by himself and living on the street, one can’t help but want to pick him up and save him from a cruel world before it’s too late. That balance of sympathy is harder to pull off than it looks. Plummer never goes for the melodramatic beat, working perfectly with director Andrew Haigh to make us care without feeling manipulated. 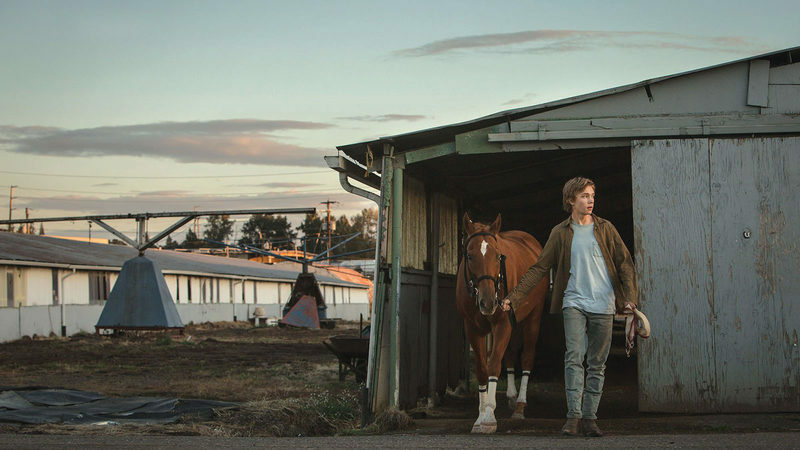 It’s a fantastic performance, and so I took the chance to chat with the young actor the week before “Lean on Pete” was hitting Blu-ray, which it does today. Rent or buy it ASAP. This film premiered at Toronto in 2017 and you filmed it long before that, of course. What’s it like to spend so much time with a character and movie that you’re talking it about for this long? Watching it is different because it brings me back to an incredibly emotional time. This film is a document of that part of my life, which is such a beautiful thing that it can be overwhelming. At the end of the day, I’m so proud of the movie. And so proud of everyone’s work. Andrew. Steve. Everyone who had any part of it. And so I’m so happy to talk about it. How have your feelings about it changed from 17 to 19? Do you look at the process differently or even the story? Hmmm. Yeah. I’ve gotten to see it a few times. Because making the movie was so extreme in its own and getting to watch the movie for the first time. Getting to see my family watch the movie for the first time—that was almost the end of the road for me. I don’t know if that makes any sense. It started when I read the script and first had this connection. For me, this movie is so much about home and what home means to you. And that’s a question that everyone has to ask themselves at a certain point in their life. I had to. I grew up in a family that moved around a lot. I changed schools eight or nine times. There was always an idea in my head of “Just because we live here, does that mean we’re ‘home’ now?” I feel like the two are different. And to get to do a movie where the character is having to struggle and learn about home and the people that you love. So when I first read the script, I connected to that. And then to see my ‘home,’ my family, watch the movie together at a film festival and really just so connect and to hear from strangers. It’s kind of a full circle thing. For anyone else to see it and like it, that’s incredible. Have you been surprised how strongly people have responded to it? I would hope people react strongly to it whether it’s laughter or tears. Depends on the person. I think it’s always kind of a surprising thing when something you’re a part of can affect someone in a strong way. I’m a pretty emotionally available person. The greatest thing in the world as an actor or an artist to connect. I’m kinda surprised but I think Andrew is a world-class filmmaker, so, at the same time, I’m not too surprised. Were you a fan of his? Is that one of the reasons you wanted to make the project? Totally. I had seen “45 Years.” I hadn’t seen “Weekend” but I had seen “45 Years” and I was such a huge fan. I just think he’s such a confident filmmaker. He’s a soft-spoken guy and real thoughtful, but when it comes to shooting, he’s such a confident person. He trusts everyone around him so much, but never to a fault. He gives everyone the space to do their best work. He’s also just a really sweet person. I was a huge fan and I’m an even bigger fan now. I hope we get to do it again sometime down the road. What was the most challenging part of this role? Gosh. I think, for me at the time, I’m starting to learn about myself and I’m very much still living and my answer could change in the next week. For me, when a character is in the movie as much as this one—when you’re having to show up every day and do 12-14-16 hour days. You’re having to confront all these demons in yourself or things that make you feel uncomfortable or insecure. And when you’re having to do that on your own. There’s a crew, but, at the end of the day, you’re going home yourself. How powerful that can be, but also how scary that can be. We primarily shot in order but we shot the last few weeks in a tiny town about eight hours east of Portland. In the middle of nowhere. One restaurant in the entire town. One movie theater. Basically, I was on my own, and that was a really hard thing. That’s the thing I’m having to learn to navigate. Doing it for 15 hours a day and go home and not drown in all of that. There were days that were a lot of fun, but that was the hardest part. Struggling with the idea of being isolated and people not wanting to be with you. But I have a really great family. I’m curious about long-term plans. Anyone whose career you look at and go “That’s how I want to do it”? Oh gosh. So many people. One of my favorite actors and one guy that I would answer would be Joaquin Phoenix. He’s a funny example because I think he’s, in my opinion, the greatest actor working today, especially in his age group. Six years ago, when he made that mockumentary, his career wasn’t there, and I just saw “You Were Never Really Here,” which is so good. And “The Master.” If I can have a career that no matter what, even through ups and downs, that I can make films that matter. The reason I admire him so much is that he’s stayed consistent through all the years. It’s such an admirable thing as an actor. It’s a tough thing to do—to consistently work with talented people no matter what. I’d say the other is Mark Rylance, who inspired me to start acting. I saw him in a play with him when I was 12 [called “Jerusalem” and that kind of just made me want to do this. I just want to work with actors like that who are world-class.